Did you see my Summer Sunshine Smoothie that I made? 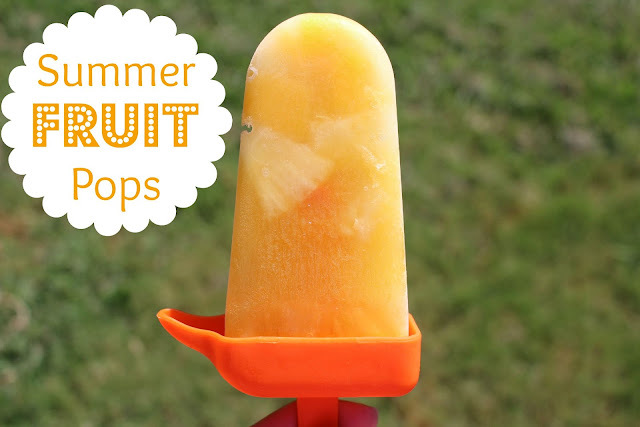 Well these sweet Summer Fruit Pops use a few of the same ingredients and they turned out amazing! I added the fruit into the Popsicle molds first, then poured in the orange juice. Place in your freezer for 3-4 hours or overnight! Do your little ones enjoy Popsicle's? What is their favorite flavor? I love fruit Popsicles and these are so easy to make. thanks for the recipe.